Today we’re focusing on a little story out of Bend, Oregon. 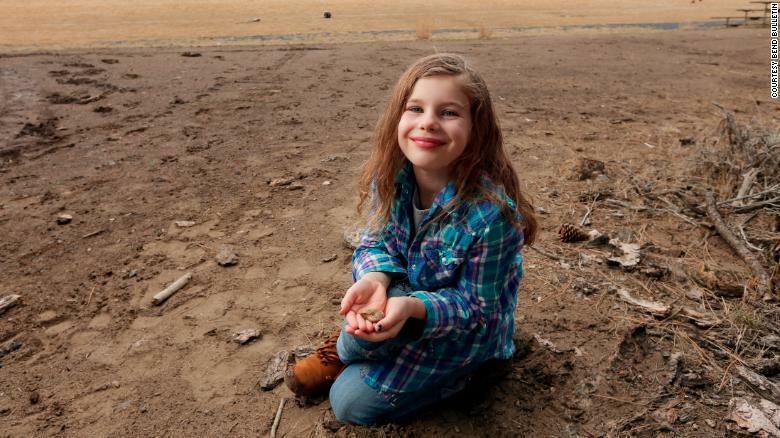 A 6-year-old girl named Naomi Vaughan went off to play in the sagebrush as her mom cheered on a JV soccer team, and she found something extraordinary. 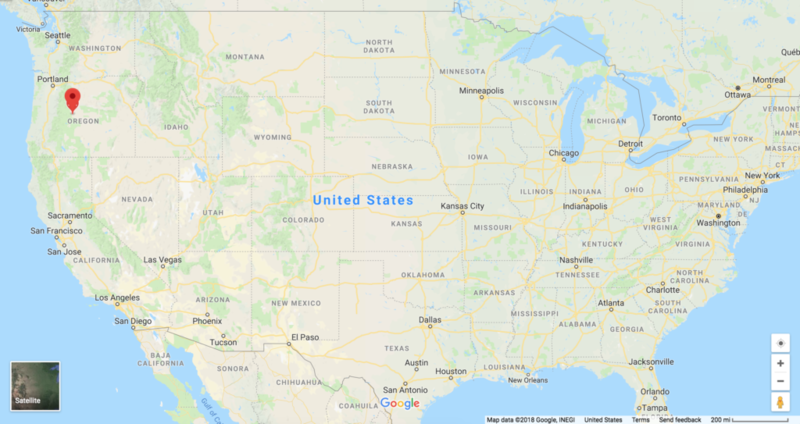 A map of the United States from Google, showing where Bend, Oregon is located. Naomi decided to dig in the dirt, and in her explorations, she found a shiny, spiral-shaped fossil. The fossil was an ammonite! 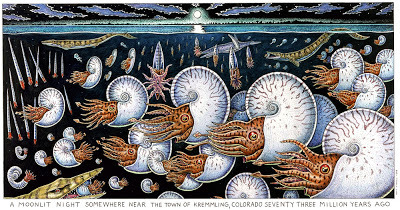 These extinct, marine animals are related to today’s squids, octopuses, and nautilis. They lived during the Paleozoic and Mesozoic (400-66 million years ago) and went extinct when the non-avian dinosaurs did at the end of the Mesozoic. A picture of ammonites. Drawn by Ray Troll. But how did Naomi’s ammonite make it to Bend? Ammonites aren’t known from Bend, but are common 80 miles away. Paleontologists think that her ammonite was brought in from another state, and maybe tossed away or lost in the field. One paleontologist narrowed down the age of the fossil to somewhere between 100 and 66 million years old. Naomi Vaughan holding her fossil. Photo by Joe Kline/Bulletin photo. One thing is for sure, Naomi is now the proud discoverer of a new ammonite fossil.